Coffee. You wake to its rich aroma. You warm your hands around the steaming mug. Your mouth begins to water for that first burst of intense flavor. And ten minutes later, you’re sharp, alert, and ready to face your day. No wonder it’s become one of the most popular beverages in the world. Could something so delicious be good for you? The short answer is yes—with a few reservations. If you metabolize coffee quickly, drink it in moderate amounts, and don’t load it up with sweeteners and cream, coffee’s more likely to promote good health than to hurt your health. The sad fact is, some of us tolerate coffee’s active ingredient, caffeine, better than others. Slow metabolizers of coffee tend to get the jitters or feel wired after a cup or two, and they can’t sleep if they drink it. But that’s not all. Coffee also seems to put them at greater risk of miscarriage, high blood pressure, PMS, and other problems. Faster metabolizers of coffee tend to feel alert and energized after a cup. Not only that, but they don’t seem affected by the health risks that slow metabolizers face. In fact, in this group coffee might even be health-promoting. About half of us belong to the first group and half to the second. Not sure which group you belong to? There are tests available to help you find out. The good news: whether you metabolize coffee slowly or very quickly, one or two cups in the morning is probably safe. If you’re a slow metabolizer, drinking that much at that time won’t do any harm and will give you the boost of alertness you may crave. And if you’re a fast metabolizer, drinking that much may do your health some positive good. For most of us, drinking anywhere between 1-3 cups per day (8 to 24 ounces) seems to be a reasonable amount. Any more than that and you should consider cutting back. If you enjoy coffee and drink it regularly, consider switching to black. Even those who can benefit from coffee might lose those benefits from an overload of sugar and cream—or, worse yet, artificial sweeteners and creamers. These only add unnecessary calories and chemicals and may affect the way you digest the coffee. As for that Frappucino? An occasional treat, maybe. But don’t think it’s going to make you healthier. Better athletic and mental performance. Lower rates of some cancers, neurodegenerative diseases, and Type 2 diabetes in some people. Lower rates of cardiovascular disease and premature death in some people. 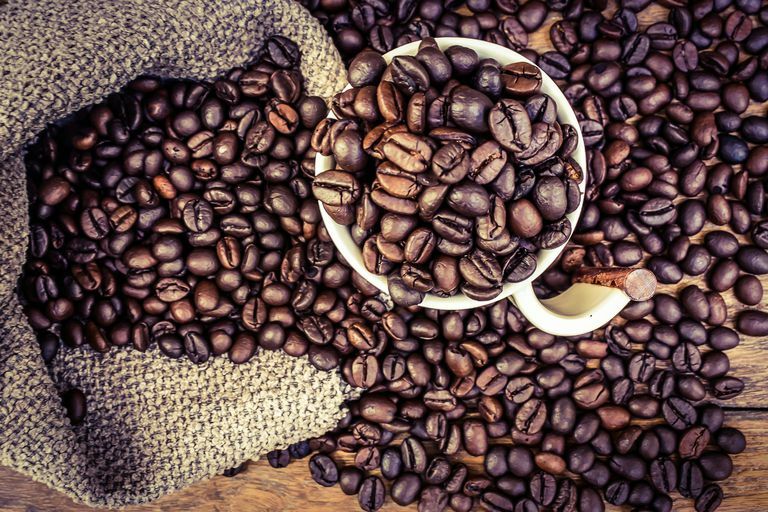 In particular, the antioxidants in coffee may protect against age-related diseases. Again, the benefits seem higher for those who are fast metabolizers. Remember that most of the research about coffee establishes associations, not causes. In other words, we don’t really know whether coffee itself is causing health benefits, or if it’s something else that coffee-drinkers do. The nitty gritty? Until we know more, feel free to enjoy your morning cup. Just keep your consumption moderate, and drink it black if possible. Cornelis MC, et al. Coffee, CYP1A2 Genotype, and Risk of Myocardial Infarction. JAMA. 2006;295(10):1135-1141.